The name ‘Audacia’ is synonymous with a spirit of adventure and boldness. 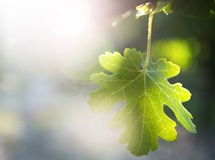 These characteristics are epitomised in an audacious approach to viticulture and winemaking. The Audacia brand strives to distinguish itself by producing original Rooibos and Honeybush naturally preserved, no sulphur added, terroir-specific single cultivars and blends. The year was 1930. Astronomers had just discovered Pluto, and Mahatma Gandhi had embarked on the salt march to protest British dominion over India. At the other end of the world, in the beautiful winelands of Stellenbosch, the heir to Neethlingshof, young Kosie Louw, could no longer bear to wait for his father's blessing for his impending marriage – so he spurned his inheritance and left the historic family farm. Instead Kosie bought himself and his young bride a small piece of the Annandale farm situated in the picturesque and fruitful Bonte River Valley in Stellenbosch. Both his wife and friends thought his actions so bold and audacious they decided to christen the new farm ‘Audacia’ in recognition of Kosie’s actions. 27 years later, his son, ‘Kosie the Second', joined his father in running the farm. Audacia remained in the Louw family until 1996 when it was sold to the Strydom family, with the Harris family becoming partners in 2002. 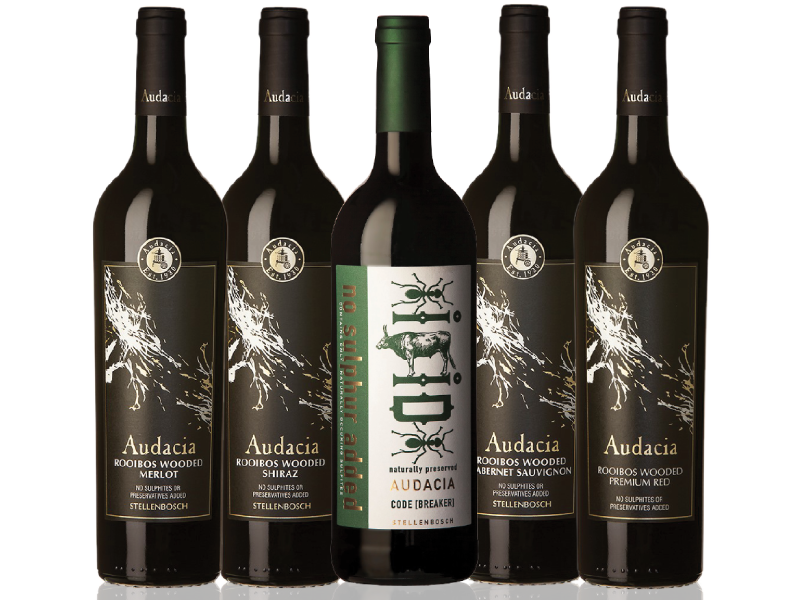 These families remain proud custodians of the Audacia heritage continuing to push the boundaries when it comes to making unique naturally preserved red wines using indigenous plant wood / tannin to preserve wine naturally without the need to add sulphur in the wine making process. 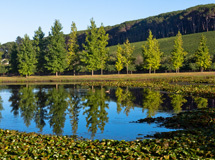 Audacia is a 23-hectare wine farm situated in South Africa's prime vine growing and winemaking region – Stellenbosch. 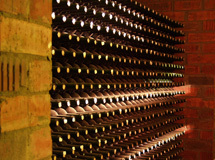 It is part of the country’s oldest and most established wine route. 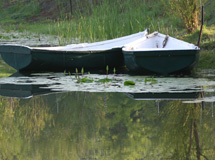 The farm lies in the gently sloping Bonte River Valley and is part of the renowned ‘Golden Triangle', a unique patch of land at the foot of the Helderberg Mountain. 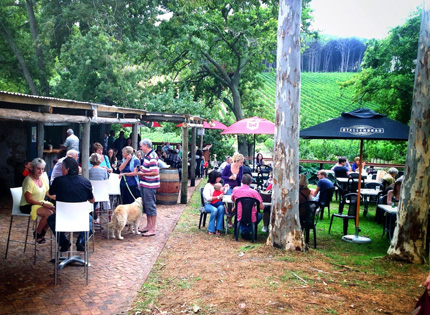 This area is acclaimed for producing some of South Africa's best red wines, particularly Shiraz. 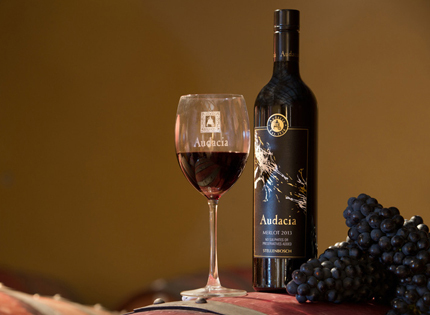 It's for this reason – and the fact that its vineyards are exclusively planted to red grape varieties – that Audacia dubs itself “The Red Wine Boutique Winery”. Alongside the R44 seven kilometres beyond Stellenbosch en route to Somerset West. 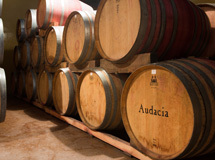 Audacia lies adjacent to the Annandale Road – a famed strip of tar leads to a number of internationally renowned wine properties. Audacia's label depicts a wooden basket press. This is how we pay homage to the pioneering Kosie Louw who borrowed the grape press from his father to make the first wines on the farm.